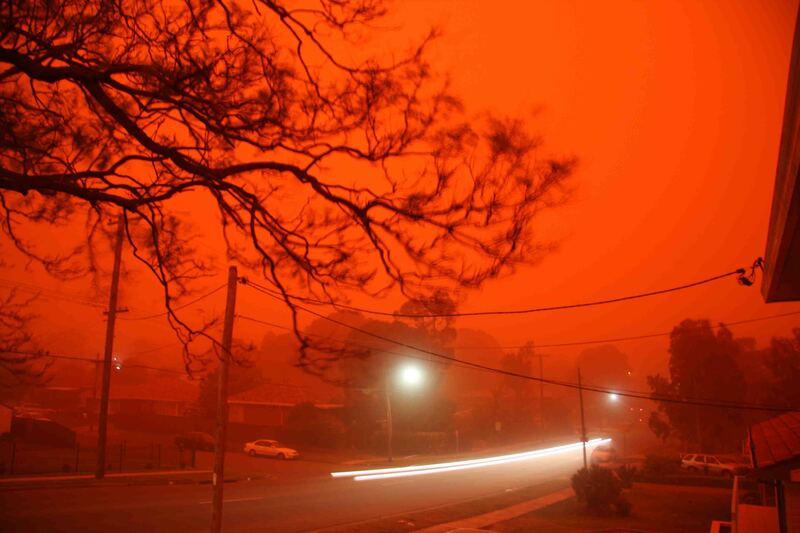 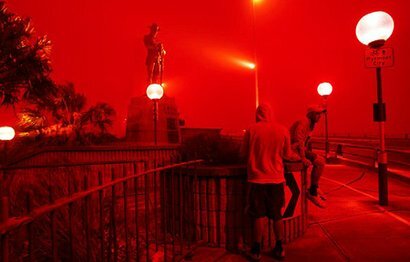 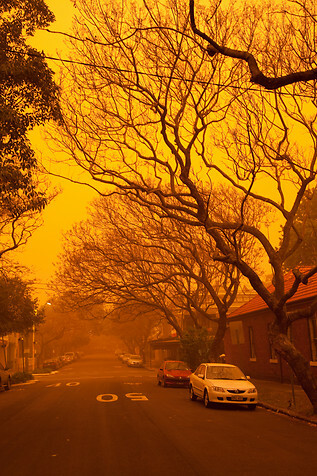 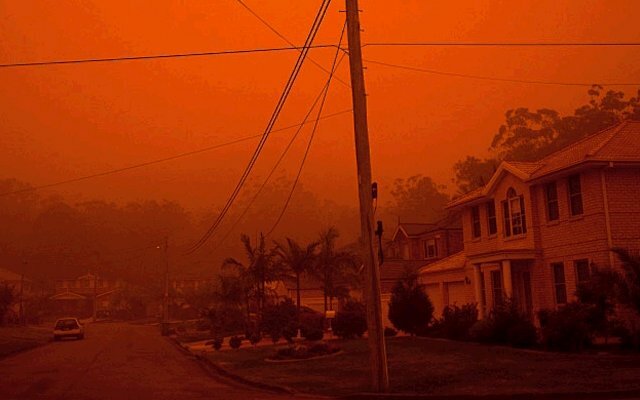 The people of Sydney Australia woke up today to find the sky had turned red. 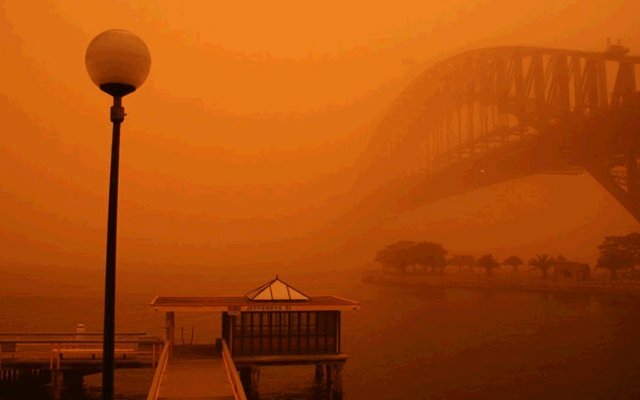 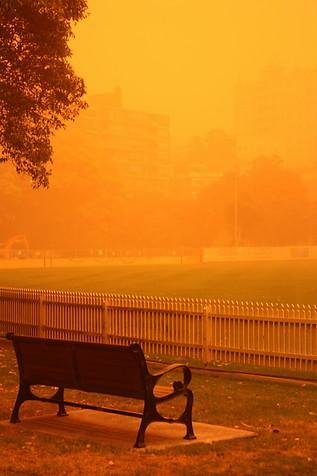 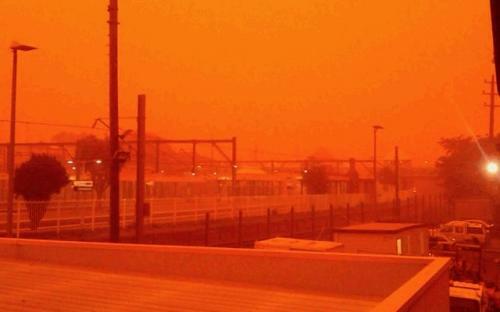 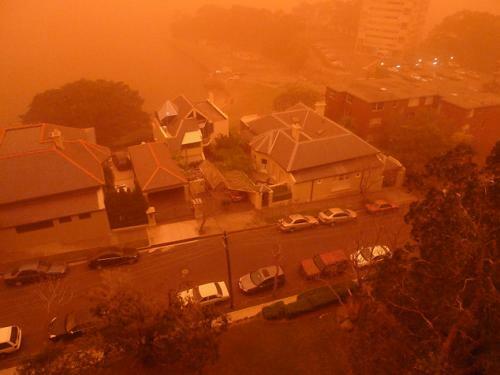 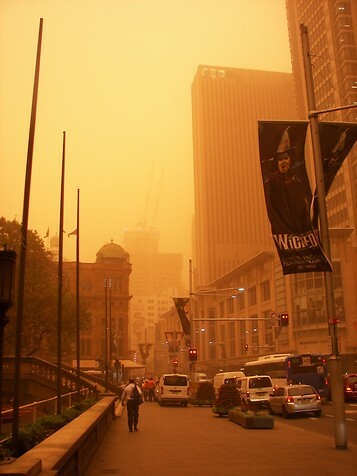 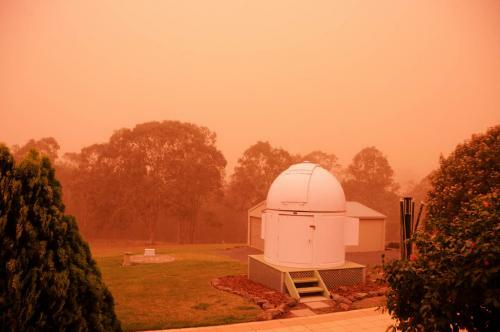 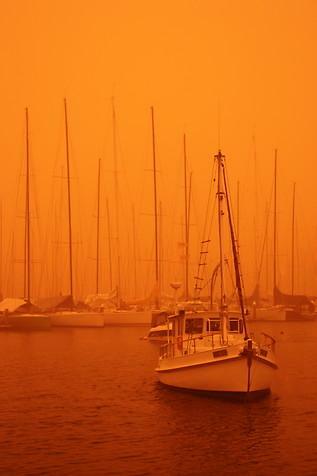 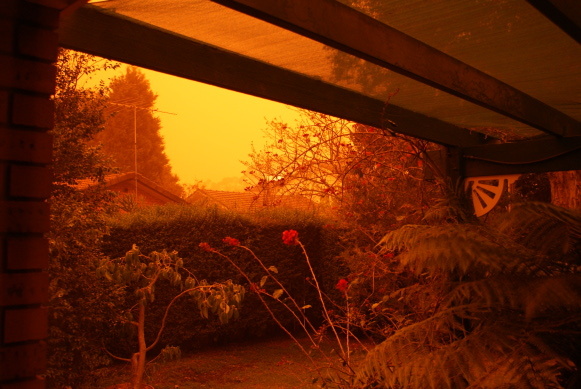 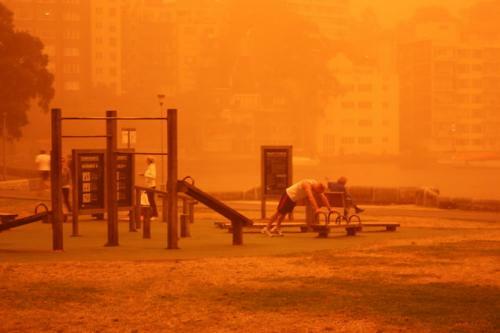 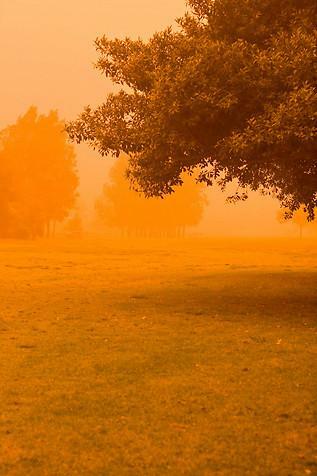 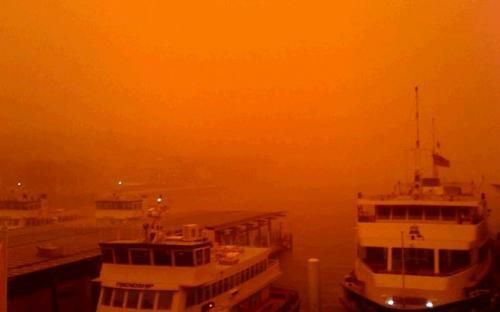 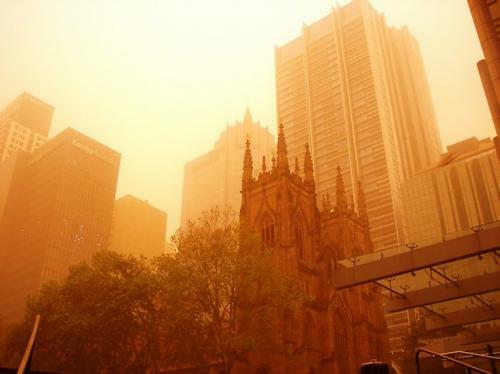 An enormous dust storm blanketed Sydney, reducing visibility to a few meters in some places. 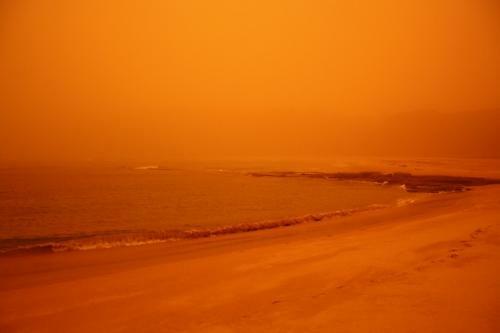 It is really eerie and mars-like. The severity of the dust cloud will gradually decline, but will not go away until later tonight. 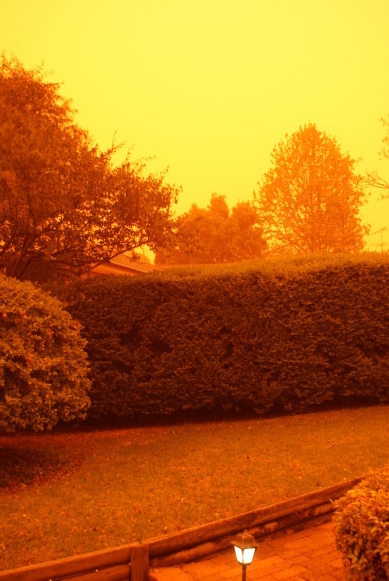 Video at bottom.